Front Street Shipyard President JB Turner in front of one of the yachts his company is refitting this season. A new, larger travel lift is allowing larger boats to use the growing facility. The Front Street Shipyard in Belfast has installed a new 485-ton capacity lift (pictured here), the largest north of Rhode Island, to be able to work on larger boats and superyachts. Large yachts undergoing work at the Front Street Shipyard in Belfast. BELFAST, Maine — At the Front Street Shipyard, they don’t do things halfway. 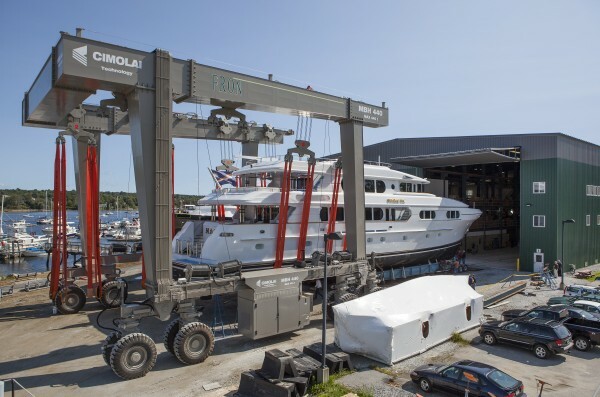 When officials at the rapidly expanding business found that their 165-ton capacity travel lift, one of the largest in Maine, was too small to haul some large yachts out of the water, they decided that it was time to make a new addition to the Belfast waterfront. That addition — a 485-ton capacity lift — is the largest motorized hoist north of Newport, R.I. It comes with the ability to work on super yachts and other boats that make JB Turner, the president of the shipyard, very happy. “We weren’t capturing all the market that our facility is capable of handling,” he said Tuesday while walking around Building 5, a cavernous structure currently home to a dizzying array of projects. Yachts like the 130-foot super yacht, Magic, dwarf the boatyard’s employees. 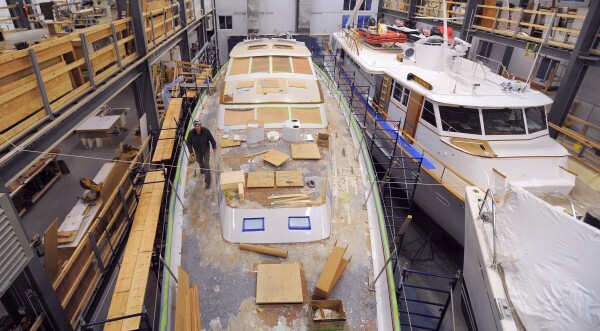 Magic’s homeport is the exotic-sounding Bikini Atoll, but its owners decided to have Front Street Shipyard provide an extensive refit over the next few months. Projects include building an outdoor cinema, installing a five-person Jacuzzi and redesigning the immense yacht’s arch and mast structures. The $2 million new lift arrived in 16 pieces and was assembled in time to haul out the 117-foot yacht, Grumpy, in the middle of September. Getting the massive lift up and running caps two-and-a-half years of fast-paced growth and change for the business, located on the site of a former crumbling sardine processing plant that for years was an eyesore and a problem for the city of Belfast. 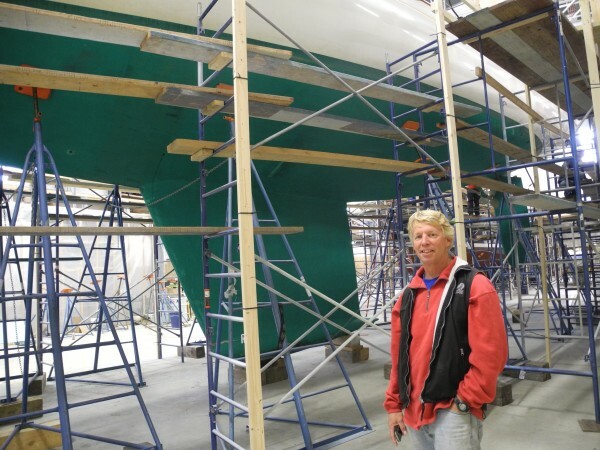 In January 2011, a group of Maine boatbuilders and maritime professionals purchased the property to turn it into a major regional shipyard — Steve White of Brooklin Boat Yard, Ken Priest of Kenway Corp., Taylor Allen of Rockport Marine, and Turner. Company officials were motivated to get the shipyard up and running quickly. The remnants of the Stinson sardine plant were demolished, and construction of the dark-green buildings that make up the shipyard began. Over the months, the company has also added to its employee roster. There are currently 112 people at Front Street Shipyard working jobs that include carpentry, cleaning, designing, metal fabrication, fiberglass, engineering, plumbing, painting and rigging, Turner said. They’ve built two small boats there so far and have some other, larger boat-building plans in the works. Primarily the bread-and-butter of the company is major refits, such as the Magic project. Turner said the company will endeavor to make a splash at next month’s Fort Lauderdale Boat Show, using video displays to make visitors feel like they’re in the busy Belfast shipyard. It’s just another way of letting people know that the company is here.